I used New Look #6779 (with a couple of Laura-shaped adjustments), which has a yoke that made the reversibility a bit easier. I cut 2 yokes so I could use it as a facing for both sides, which would also hide the shoulder seams. 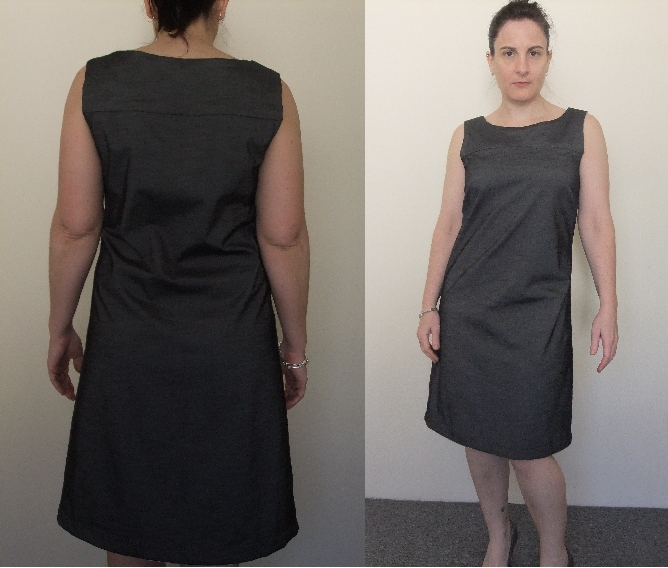 I did a sort of ‘cheat’s french seam’ for the side seams so they were enclosed. 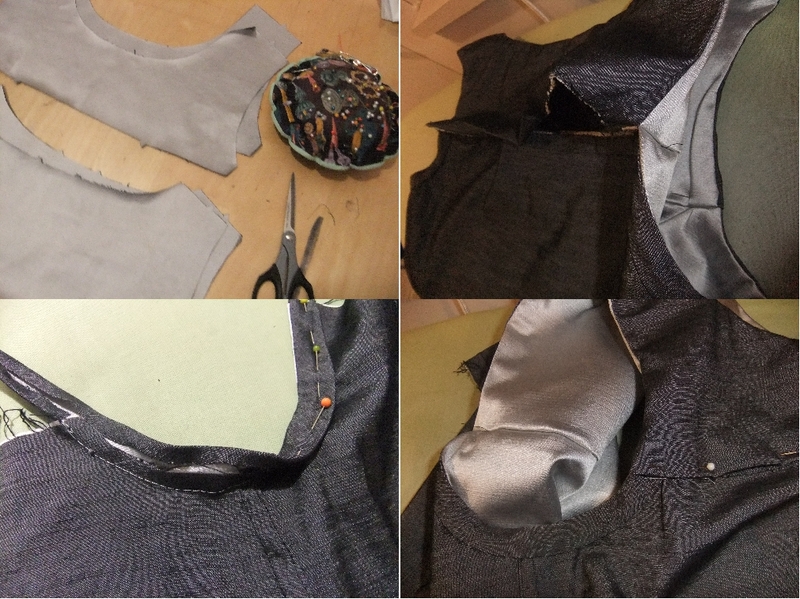 Instead of sewing the bust darts, I made them as a pleat which seems to work just fine. For the hem I did a wide facing to make it a feature (the fabric and the sewing machine needle didn’t really like each other on the hem which made the stitching line a bit too obvious, but I’m hopeful that a good steaming with the iron will help that). The double yoke effectively dealt with the top halves of the armhole openings, so I just made a bit of self-fabric bias binding to encase the bottom bit. Here’s a couple of construction pictures to give you an idea. 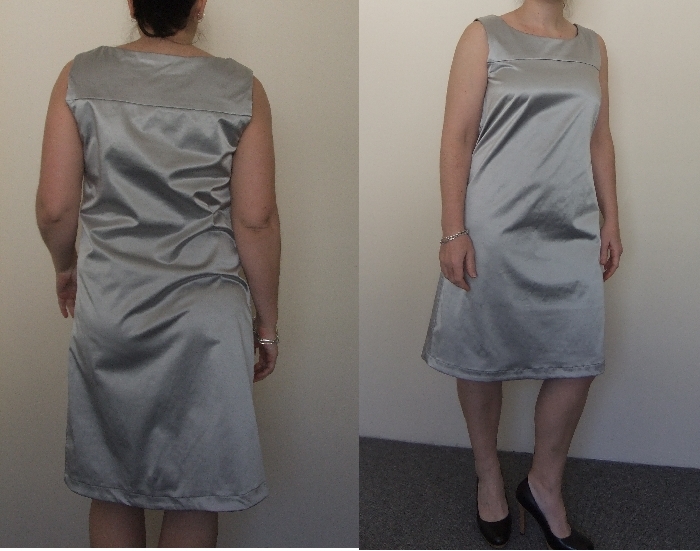 The trickiest bit was probably remembering which side was ‘in’ or ‘out’ when doing the hem & binding! I’m rather looking forward to some warm weather so I can actually wear this out somewhere!